Three days of intense focus on digital design, UX, and more. If you care about creating the best possible experiences for the people who use your work, and crave concentrated time to level up your skills in the company of your peers, An Event Apart is the conference you’ve been waiting for. 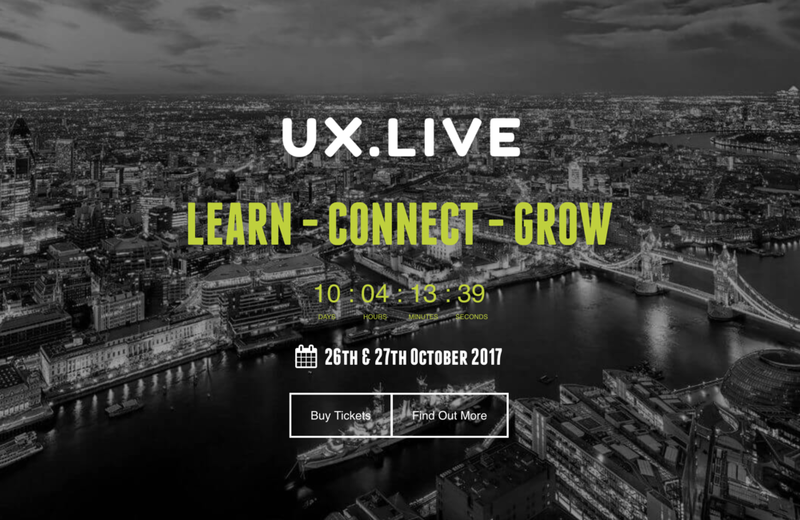 UX.LIVE is a two day conference brought to your buy the UX Crunch team. 4 rooms, 24 speakers, 12 workshops and free cocktail bar. The Seattle Interactive Conference is an annual event celebrating the convergence of online technology, creativity, and emerging trends in one of the world’s most innovative cities. With a lineup of 15 brilliant speakers and the best scenarios to offer you a valuable and unforgettable 1 track, 2 full conference days and 7 workshops. Automakers, Tier 1’s and Insurers are making great strides in ADAS, in-car UX, data management, telematics and V2X, however technology is only part of the puzzle – innovation needs to occur not only within RandD, but across strategy, business models and end-to-end customer experience to keep pace with an evolving market. Internet of Things World Europe, the only event to engage enterprises across both industrial and Consumer IoT, is returning on 13-15 June 2017 as part of London Tech Week’s new festival of technology TechXLR8, which will bring together 15,000 IoT professionals under one roof. Digital architects, pixel visionaries, and curators of dreams alike, come together to share with us their best-kept secrets, unveiling the key to their success. Obsessive, passionate, scrupulous and meticulous; always creative; always brave. Canada’s largest conference for visual communicators, is a must attend for any informed, forward-thinking creative, communications or marketing professional or team. The inspiring event, now in its 18th year, breeds change agents who become drivers of innovation. UXcamp is a one-day BarCamp where you can learn and share your passion about User Experience and related disciplines, such as Information Architecture, Interaction and Visual Design, Service Design, Content Strategy, Psychology, Usability, and many more. This event is for designers, strategists, product and project managers, developers, thinkers and anyone else who is interested in this broad range of topics. This one-day conference includes five simultaneous tracks, giving you a choice of 30+ presentations. Join over 500 attendees to learn about best practices for user-centered product development, usability research, and real-world case studies about websites, mobile devices, software, healthcare solutions, globalization and more! A two-day conference that prepares today’s leaders for the next hurdles in design leadership: designing organizations, driving change at scale, and continuously delivering better outcomes for businesses and people. At the O’Reilly Design Conference, you’ll learn about business, design, and technical topics of critical relevance. Interaction and UX designers, user researchers, product designers and managers, and entrepreneurs will share important lessons on how to make a lasting impact on your organization—and the world beyond—through design. Five days of compelling presentations from the brightest minds in emerging technology, scores of exciting networking events hosted by industry leaders, the SXSW Trade Show and an unbeatable lineup of special programs showcasing the best new digital works, video games and innovative ideas the international community has to offer. Interaction17 is the interaction design conference built around a global community – learn from, be inspired by and connect with interaction designers from all over the world. Three days of keynotes, workshops and talks.